WINNER: The winner will be randomly chosen from comments received on DT member blogs. The winner will be announced on the CDS blog Thursday, November 22nd. Wonderful Hop! Love all your thankful creations! Lisa, I tried to leave a comment for you but it wouldn't let me? I love your group of snowmen, so fun and cheerful! Just about to start the hop...you carry beautiful stamps so this should be great. Wonderful creations by the DT!! Thanks for a fun hop!! Clearly talented people and very cute cards! 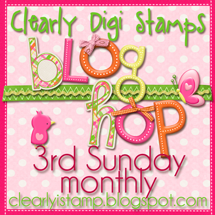 What a charming blog hop from start to finish! I have a smile from ear to ear! The colors and festive feel to each and every are just a great way to start this magical season upon us! TFS! What a fun hop! I also could not leave a message for Lisa. I love her adorable snowmen. So cute! Thank you all for the inspiration. Loved the hop. The cards were adorable! Your team is funny and talented. Just wanted to let you know that I could not leave a message for Lisa either. Tried many times. Fun hop! I had no trouble leaving messages on all the blogs. The design team did a great job as usual! Thanks! Fun hop! Loved all the DT's creations. I couldn't comment on Lisa Lara's creation...blogger wasn't working for some reason!